Niki Webster is an award-winning blogger and food consultant for a range of household brands. She has a huge social media following, with over 225k followers on Instagram alone. 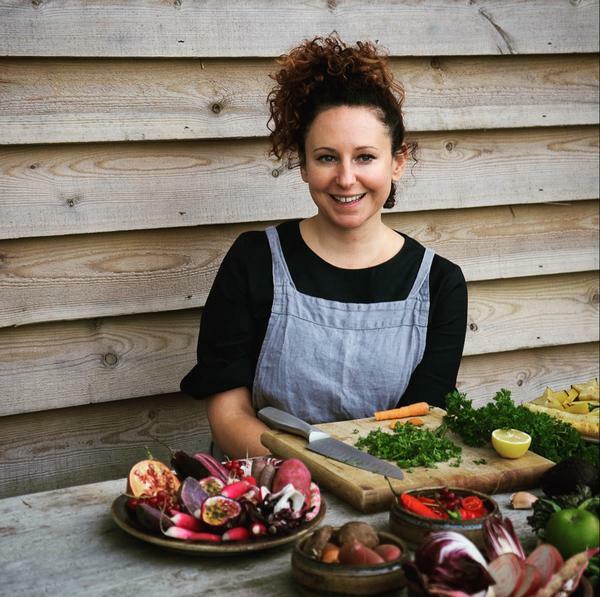 Niki is no stranger to developing recipes, food styling, photography and content strategy, and her customers include Holland & Barrett, Wholefoods and Waitrose among others. She has also developed menus and recipes for restaurants and cookbooks alike. Niki is a certified Holistic Health Coach, and Plantlab Level 1 Raw Chef who regularly coaches, gives workshops and appears on panels. She has appeared in the Independent, Grazia, Women’s Health, Red, Vegan Life and Vegan Food and Living. Niki lives near Birmingham, UK, with her husband, but spends as much time as she can travelling to the places that inspire her most. Bloomsbury Absolute will publish her first book, Rebel Recipes on the 26th December 2019. Rebel Recipes is a book unashamedly about taste; it’s all about pleasure, vibrancy and flavour. With not a limp lettuce or boring vegan dish in site, Rebel Recipes packs a punch full of awesomeness, from mouth-watering spicy Indian crepes; baked aubergine with cashew cheese and pesto; sweet potato, cauliflower and peanut stew; and chocolate cherry espresso pots. Inspired by her travels around the globe, Niki has gathered some of her favourite recipes together into this rebellious new book with incredible photography from Kris Kirkham. Rather than the usual focus on ‘health’ benefits in many vegan and plant-based books, in Rebel Recipes debut author Niki creates food for the soul.